The capital of Czech Republic, Prague is unlike any other European city. 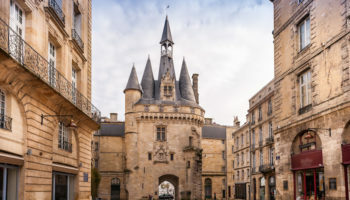 From the moment you set foot in this historic city, you will be engulfed by its haunting beauty, the gothic architecture, the baroque structures, and the surreal charm. 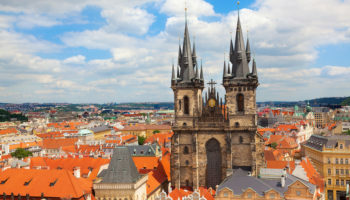 Known as the “City of a Hundred Spires,” Prague, unlike several other European cities, was never rebuilt during the 18th and 19th century, hence it still maintains its ornate spires, brightly colored buildings, and old-worldly appearance. Prague, in the same category as Vienna and Budapest, has emerged to be one of the most visited cities in Central Europe, and has been regarded, for centuries, as the capital of the historic Bohemian region. In fact, it is said that the city is so beautiful even Hitler spared it during World War II! Intersected by the Vltava River, Prague is home to over 1 million residents and sees hundreds and thousands of visitors each year. There is no dearth of tourist sites and things to do within this medieval jewel. An important thing to note here is that Prague, like most European cities, has a Tourist Pass and a Tourist Card. 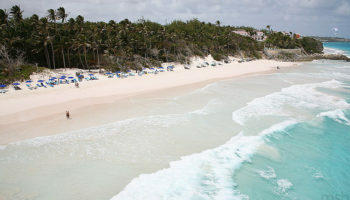 But, the common verdict is not to use them since almost every place to visit can be reached on foot. However, if you do wish to travel by metro, you can purchase a metro pass that is valid from 30 minutes to 72 hours and can be bought at any metro station. Irrespective of where your hotel is in the city, the greatest and the most popular way to start your trip will be to get yourself acquainted with the history and architecture of Prague – two of the things it is most famous for. 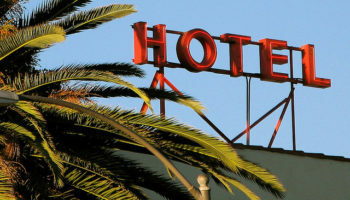 You can book a walking tour online or go on a self-guided walk. 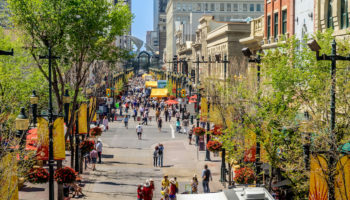 While the former is a great way to know the details about the city’s past from a local guide, the latter gives you the opportunity to explore the city according to your own pace and comfort. Prague is best experienced on foot. Start your day with a filling breakfast at your hotel or at one of the many eateries around the Old Town Square, one of the most important sights of historic Prague. Walk through the square’s surrounding cobblestone lanes and be fascinated by the ancient architecture that runs around its entire perimeter. 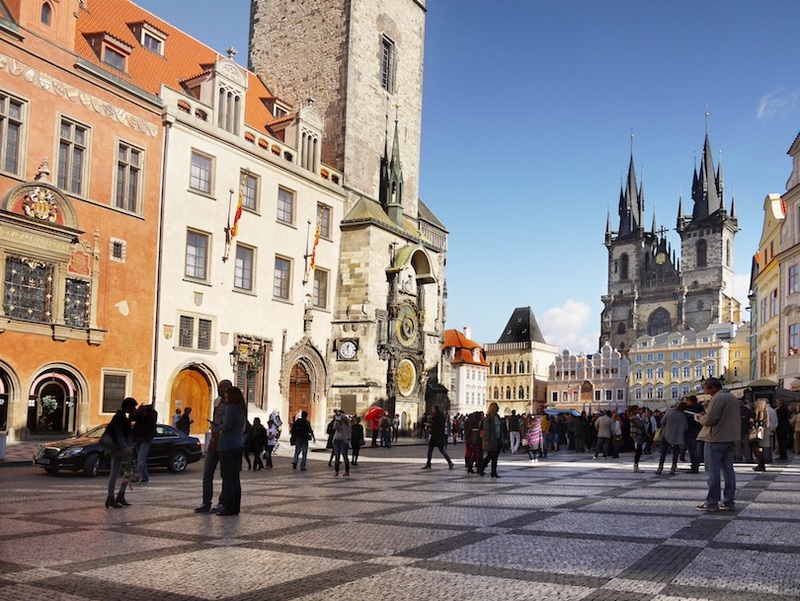 Admire the Church of Our Lady Before Tyn and the Astronomical Clock – the 3rd oldest clock of its kind built in 1410. 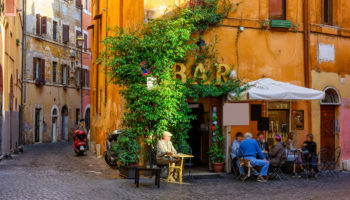 Then, make your way to the Jewish Quarter of the city where you can visit the synagogues and the Jewish Cemetery – regarded as the largest of its kind in Europe. Next, visit the Clementinum which is known to be the largest compound in the city (after Prague castle) and houses many libraries and Baroque churches. Clementine was transformed into a Jesuit College in 1556 and later a University in 1654 which operated until 1773. After all the walking that you have done throughout this busy morning, it’s time to rest in a Czech restaurant and enjoy a sumptuous local Czech lunch. 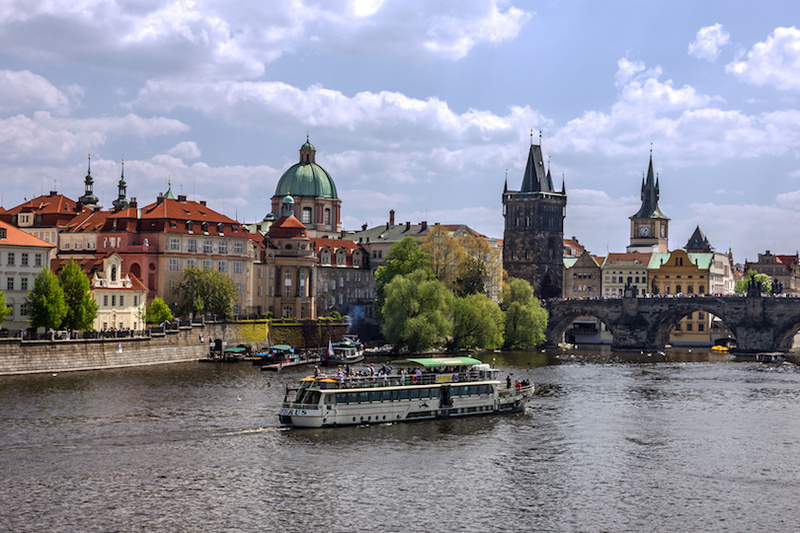 If you do decide to book a walking tour, it’s best that you reserve a tour that includes a River Cruise so you can navigate through the waterways of old Prague. Either way, take a relaxing River Cruise and enjoy the beautiful sights that line the banks of the river. The cruise will take you to the impressive Charles Bridge – erected across the Vltava river under the reign of King Charles IV and the only way to cross the river until 1841. 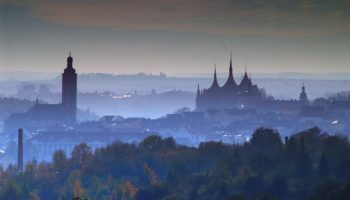 Begin your second day on the opposite side of the river and explore a few more historic sites that the “City of a Hundred Spires” has to offer. 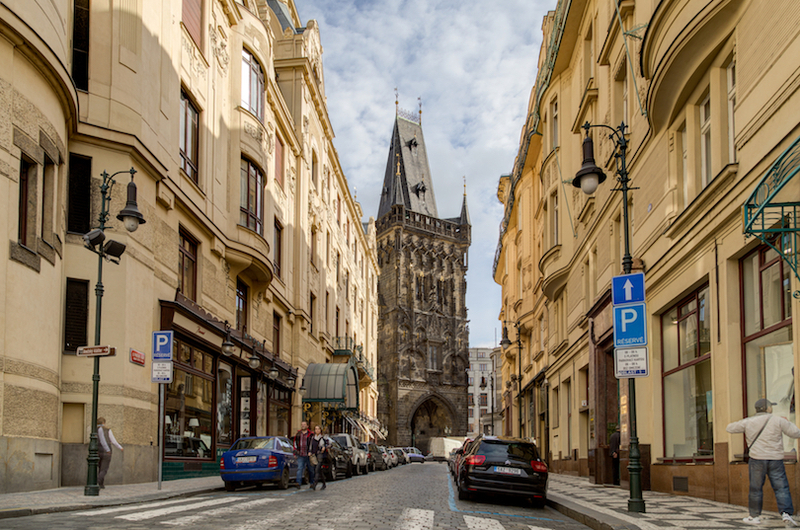 After a delightful and refreshing breakfast, make your way across the Charles Bridge and walk for 5 minutes to arrive at Malá Strana, also known as Lesser Town. 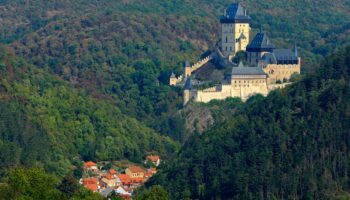 The area is known for its hilly terrain, gorgeous terracotta roofs, flamboyant architecture and splendid views of Prague along the Vltava River. On your visit, explore Kampa Island – one of Prague’s hidden gems and considered the second most beautiful city island in the world. While in the area, take a moment to scribble a message on the John Lennon Wall. Before you head towards the next extremely significant site, grab a nice lunch at one of the many restaurants that scatter Lesser Town. Just a 10-15 minutes’ walk from Malá Strana brings you at the door of one of the most iconic structures in Prague – Prague Castle. 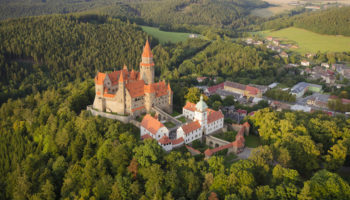 Take a moment to appreciate the grand exterior and then enter the premises of what is clearly the largest castle compound not just in the country but in the world. 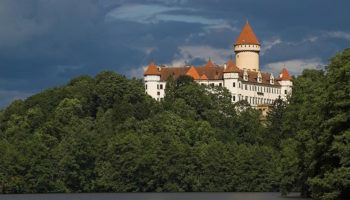 Explore the many palaces that date as far back as the 10th century. Walk through the Golden Lane and admire the many architectural geniuses that surround the area. St. Vitus Cathedral and St. George’s Basilica come highly recommended. 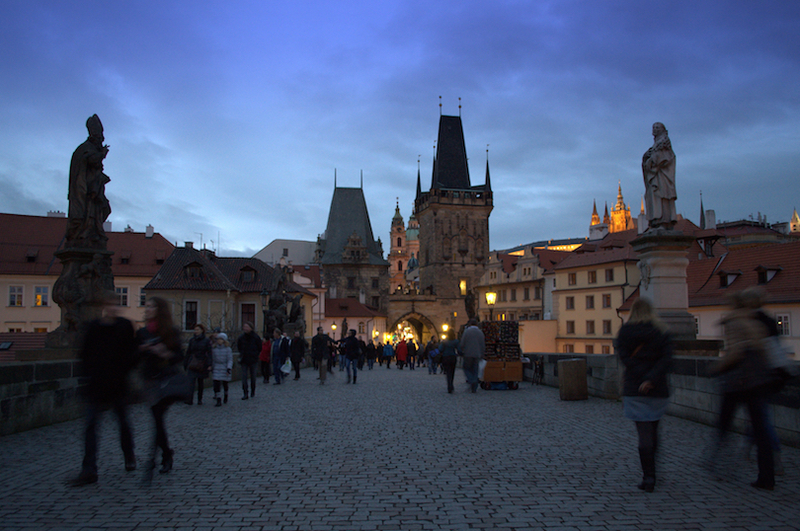 As the day almost comes to an end, walk back towards Charles Bridge one more time to enjoy the sight at night. The historic Prague Castle, adorned with lights, shines in the background as the usual hustle bustle of the day’s crowd fades away. Come here just after sunset to benefit from the “clearing sales” found at the few shops that still remain open at this time. Finally, sit down at one of the many restaurants which offer live entertainment. Medieval Tavern and Café Mozart are great options. Kickstart your day with a breakfast feast at one of the many cafes around the town. Ferdinanda, near the National Museum of Prague, comes highly recommended. 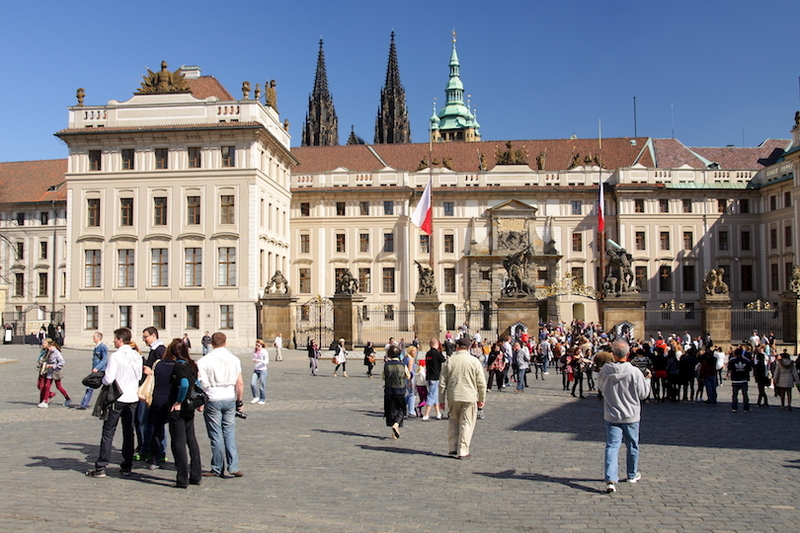 Begin your day at the biggest museum in Czech Republic – the National Museum of Prague. Dominating the upper part of the Wenceslas Square, the Museum houses an enormous variety of exhibitions that depict the affluence of the country’s history, culture, and art. Built in 1818 and opened to the public in 1891, the Museum was one of the only few places in Prague to have been affected by World War II – two bombs were dropped here! 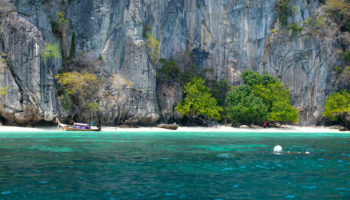 Come here early in the morning to avoid the crowds which arrive later in the day. 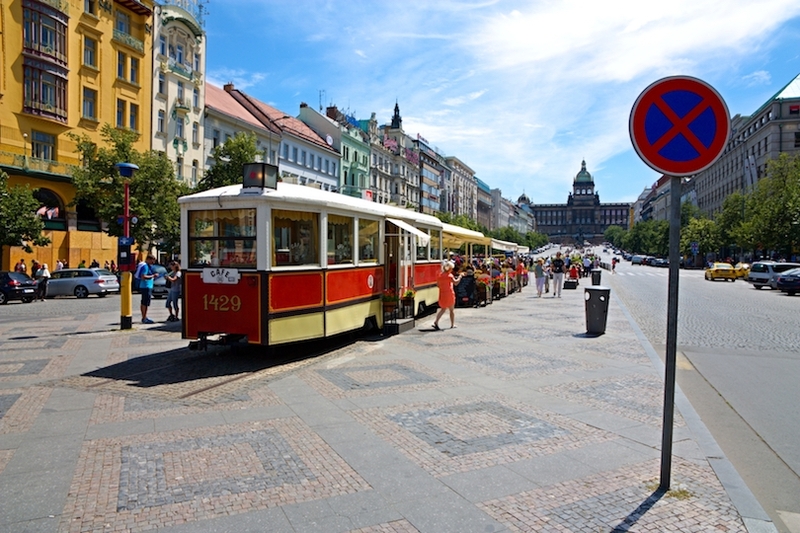 Since you are at Wenceslas Square already, it is only logical that you explore the area a little bit more. 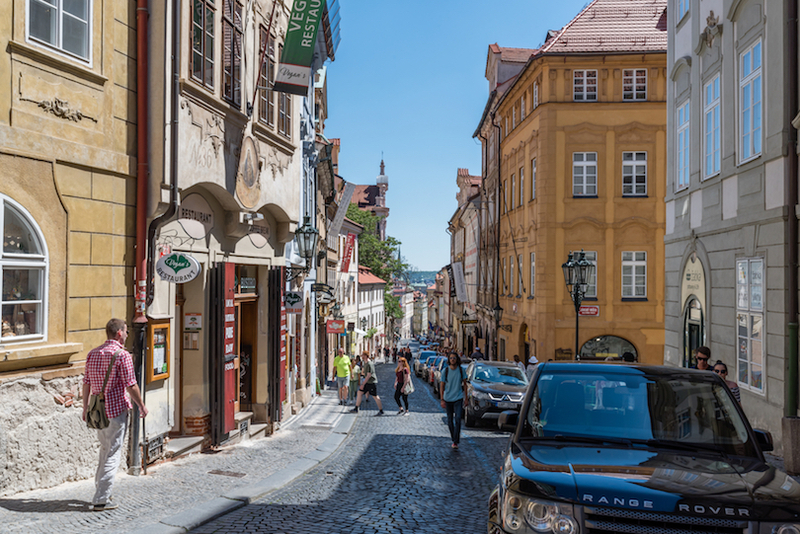 Considered as one of Prague’s favorite communal places, the Square has unlimited opportunities for shopping, hanging out, and even a quick bite to eat. From the end of WWII to the famous Velvet Revolution of 1989, Czechoslovakia was ruled by the Soviet Union communists who governed the citizens of the country rather brutally, arresting over 200,000 and killing over 300 inhabitants. The Museum of Communism, a short walk from the National Museum, captures the history of Czech’s agonizing past until the peaceful outbreak of the Velvet Revolution. Look out for the Lenin statue, a replica of a classroom from the era, and the sculptures of a man in progressive decay. Just a couple of minutes from the museum is the well-known Powder Tower which, at 213 feet tall, was once used to store gunpowder and has a monumental Gothic entrance for Kings’ processions to the Old Town. Though the gunpowder reserve is gone, the entrance is still used for Coronation processions. Now for something slightly different for your Prague itinerary. The next sight is to explore the ex-Soviet Nuclear Bunker, constructed during the Cold War and crammed with relics from that time – gas masks, army uniforms, dosimeters, and much more. It is strange to believe, but nearby the Nuclear Bunker are a plethora of popular bars, restaurants, and nightclubs which are frequented by locals and tourists alike. 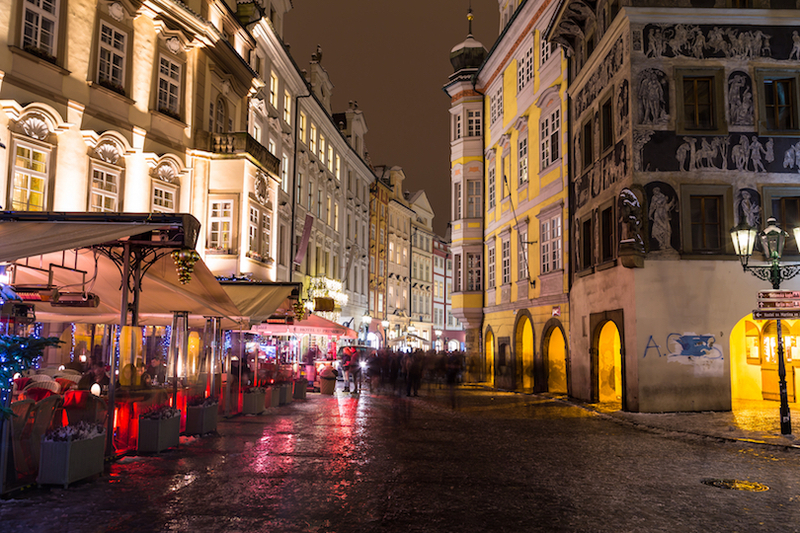 Start at U Sudu (especially if you are travelling alone) which is a great place for a couple of world-famous beers of Prague and meeting new friends before you head out to a club. Then, depending on your choice of music, you could spend the rest of the night at Chapeau Rouge (house and club), Déjà vu (karaoke on Wednesdays), Lucerna (80’s and 90’s), and of course, Karlovy Lázně – one of the biggest music clubs in Central Europe! Your site is very informative. Thank you. It encourages me to travel more.